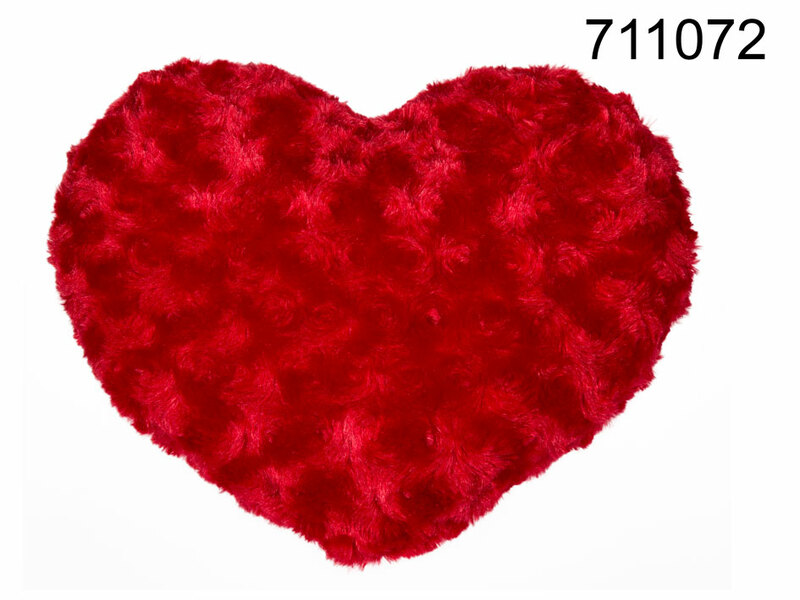 Soft, furry, heart-shaped cushion with adorable rose-shaped pattern. Colour: red. Lovely gift idea for every woman.